Quickly find those everyday things that always seem to go missing. 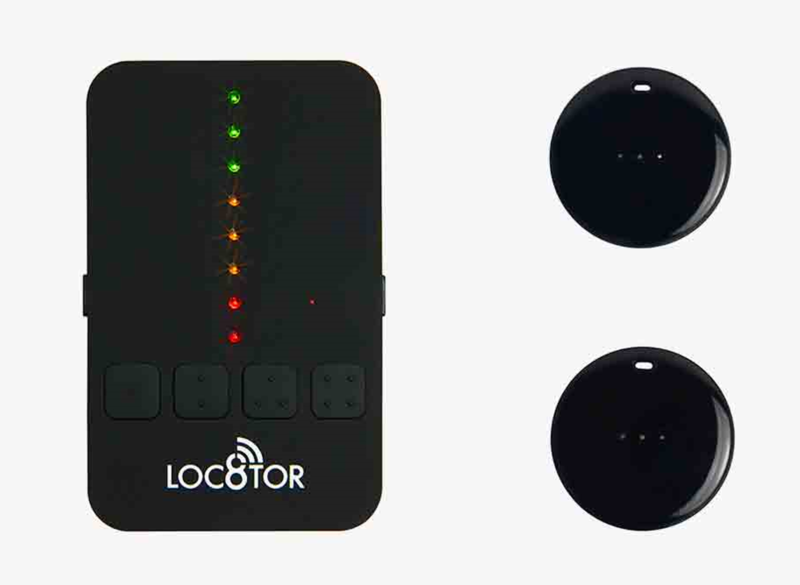 Can’t remember where you put your keys, phone or wallet, Loc8tor Lite will find it, quickly and easily. The credit card-sized handset directs you exactly which way to walk to your lost item. It even works through doors and walls. At only 6 grams, you can attach the small tag to virtually anything and quickly find it. The 122 meter (400 feet) range (in clear line of sight) helps ensure you won’t lose anything again. Loc8tor Lite is a one-off buy. There are no hidden charges or rental costs. It’s a single payment to protect your valuables for years. Even the batteries will last up to 12 months and can be replaced for a few £’s.